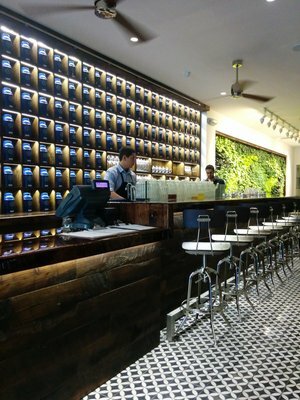 The concept behind Ticety Iced Tea Bar in Coral Gables, FL is to elevate the process of drinking tea to something beyond a standard cup of tea and infuse authenticity and presentation into every glass. 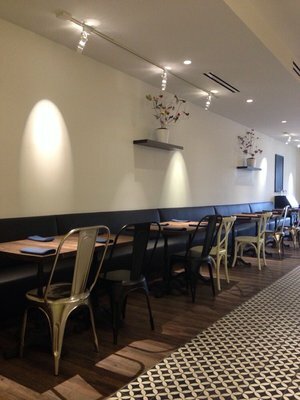 Tea is the focus, and everything on the menu is organic and natural, with no artificial flavors. 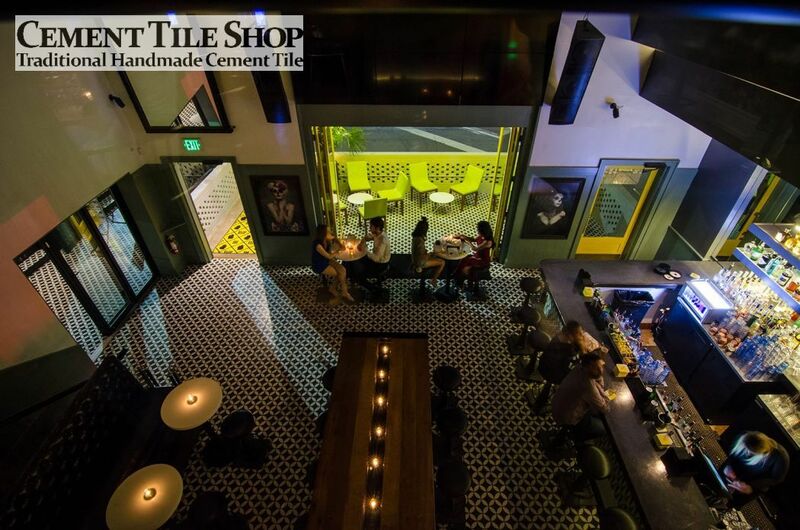 Ticety is presenting their tea as something that should be savored, like a good glass of wine. 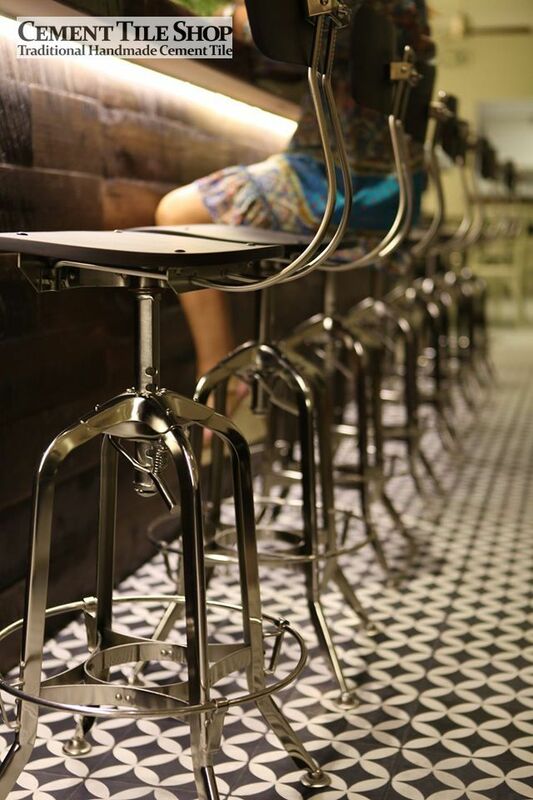 They serve a variety of teas from all over the world, including a varieties of green, white, and black teas. 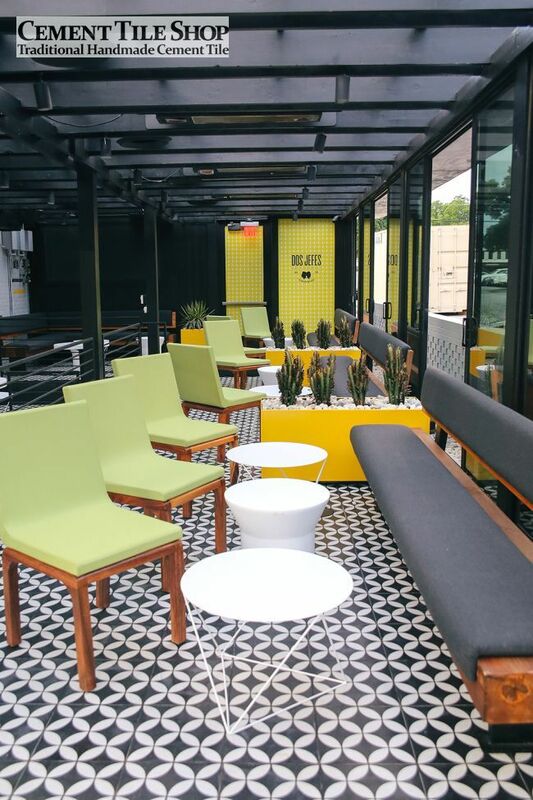 Ticety boasts a large, open lounge space complete with booths, comfy chairs, and a bar where the approximately 80 tea selections are stored. 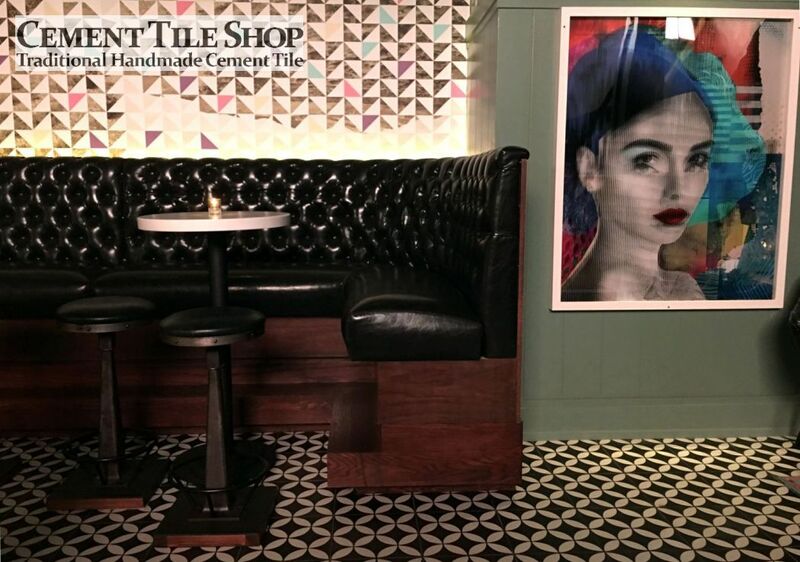 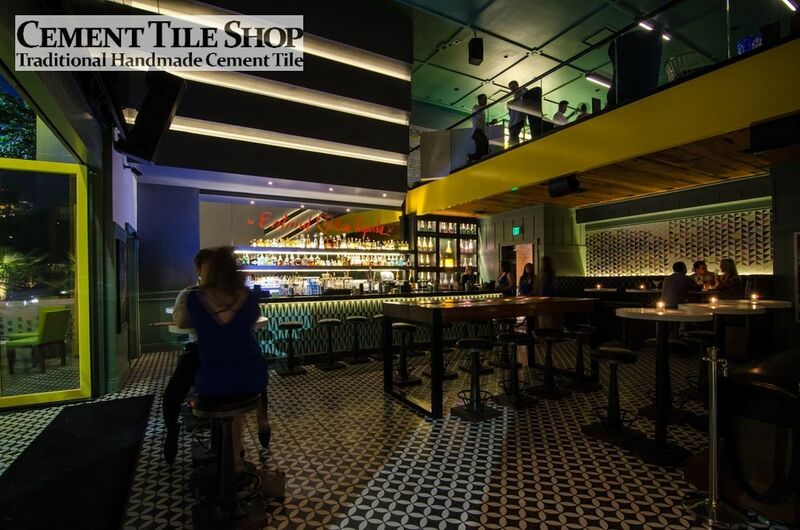 The floors of the iced tea bar showcase our Circulos Black handmade cement tile. 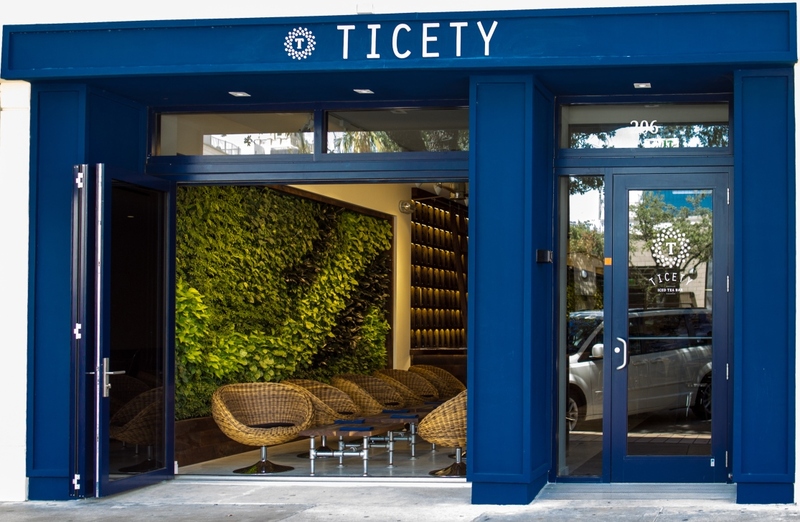 TIcety also features an amazing living wall of vertical gardening! 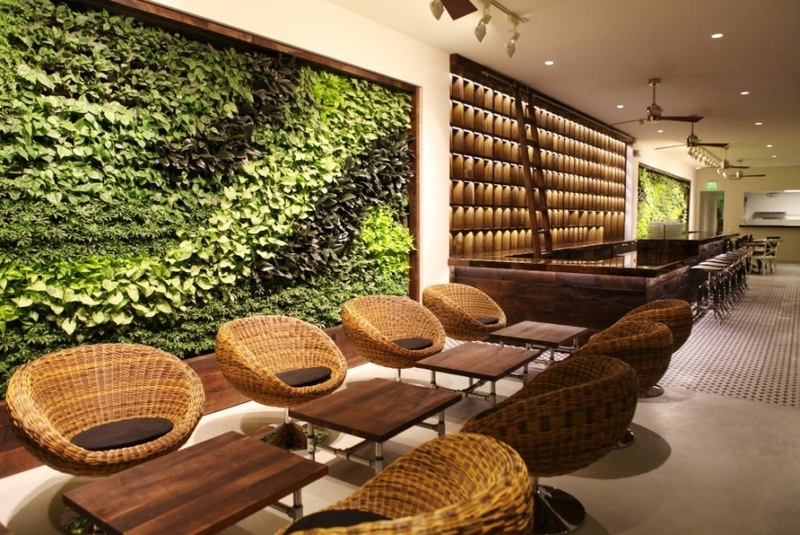 Along with our environmentally friendly flooring, the living wall also promotes health and well being. 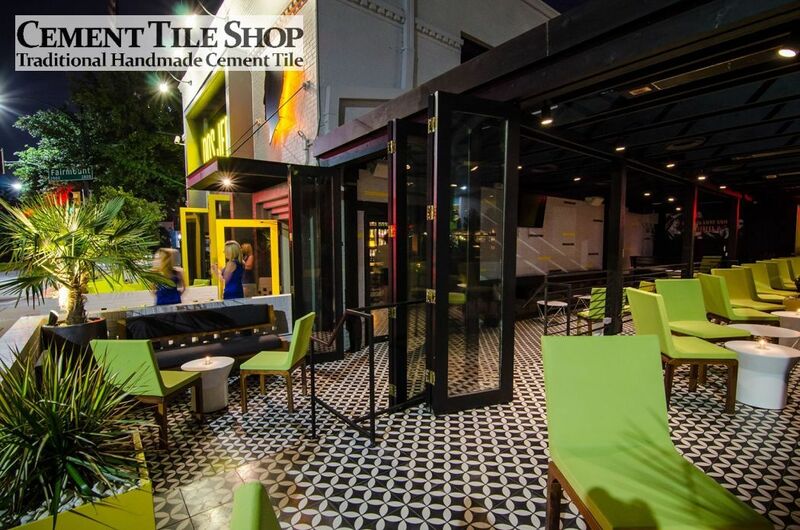 Ticety also serves gourmet sandwiches, salads and French pastries, so be sure to check out this amazing place and get some great tea next time you are in Coral Gables! 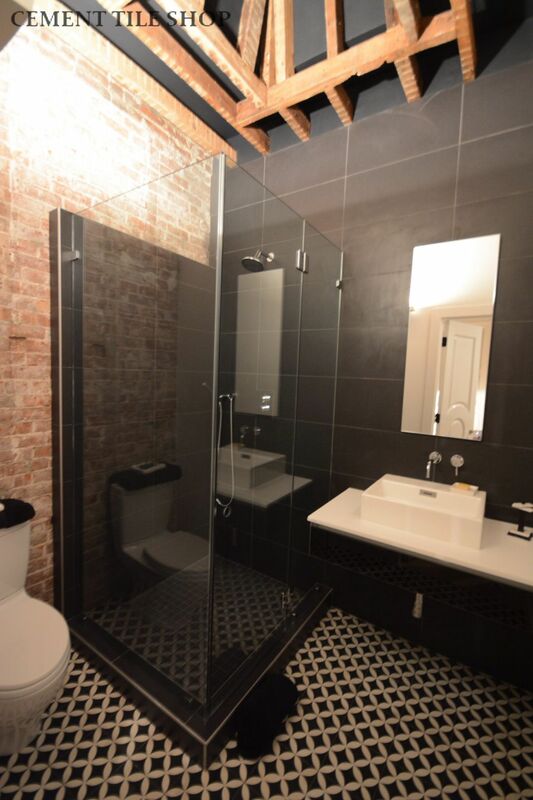 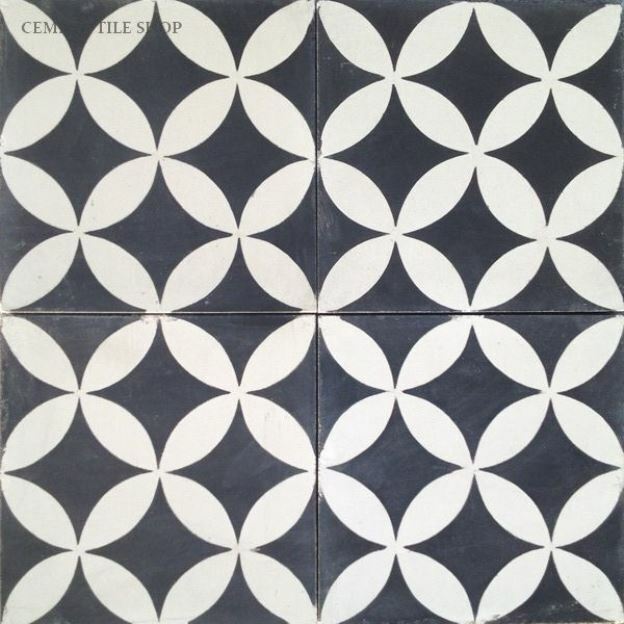 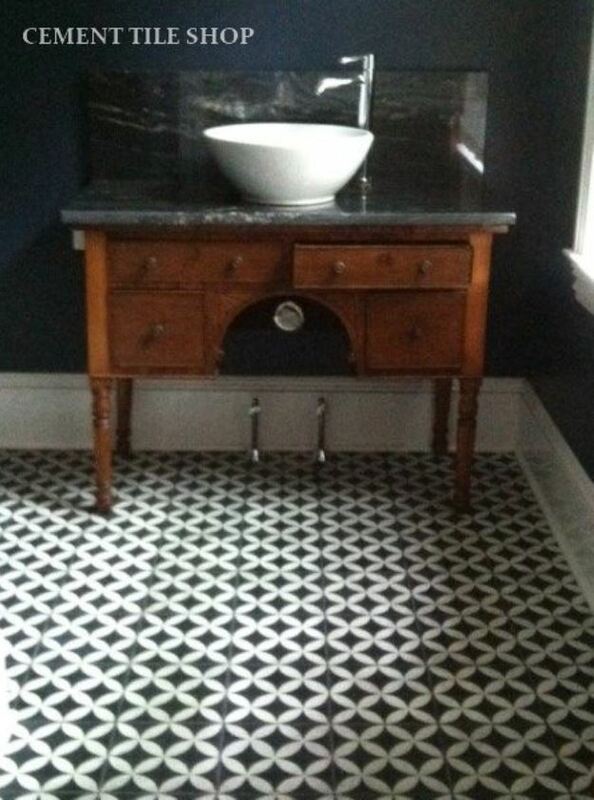 Our Circulos Black handmade cement tile is in stock and ready to ship. 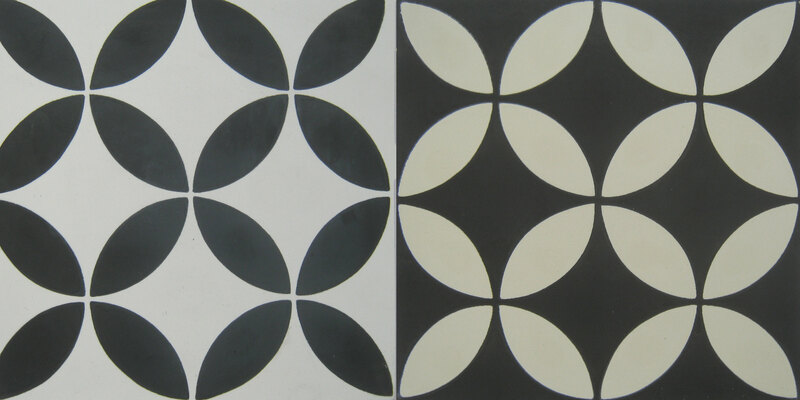 It is also stocked and available in 12″ x 12″. 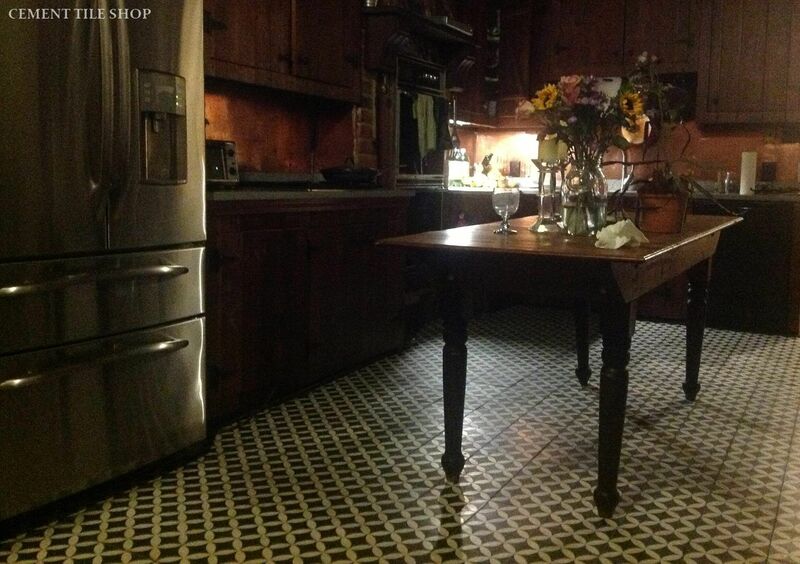 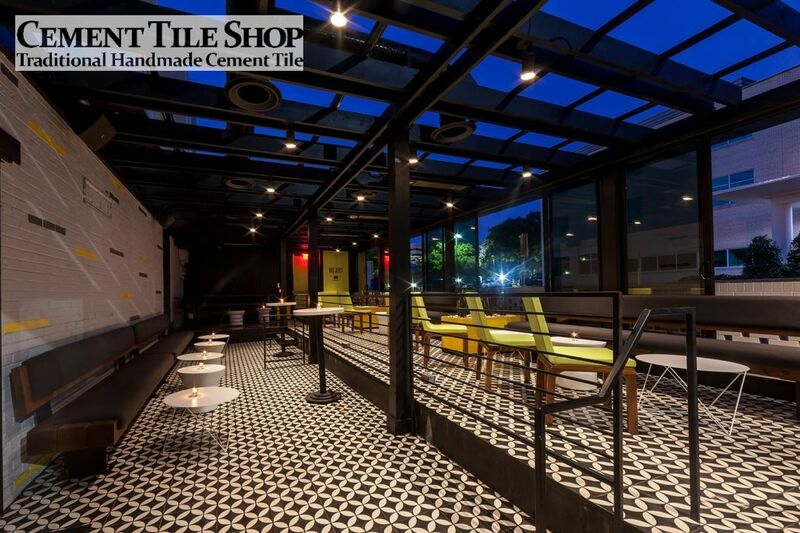 Contact Cement Tile Shop at (800) 704-2701 for more information or to order.